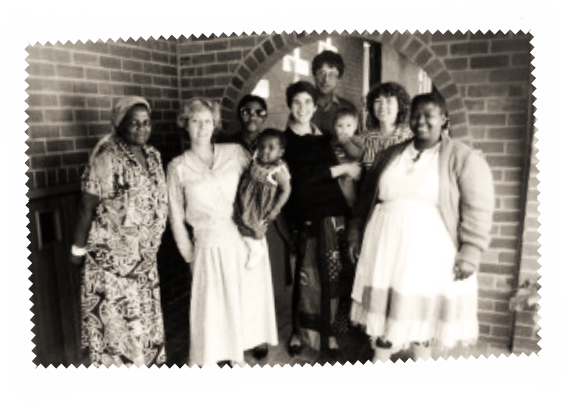 As a founding member of Thandanani Children’s Foundation, Penny Haswell was actively involved in providing care and support to abandoned babies at Edendale hospital in the late 80’s. 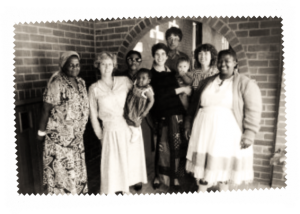 At the time babies were being abandoned at the hospital because of the violence and social turmoil in many communities and because of HIV & AIDS. It was this response by Penny and many others like her that led to the formation of Thandanani Children’s Foundation in 1989. Volunteers, like Penny, used to visit the hospital to provide care and stimulation to these abandoned children. But then in 1994 nurses at the hospital went on strike resulting in the children being temporary placed with families and children’s homes outside of the hospital. As it turned out, this was a blessing in disguise for many of these children because many of the families who took these children in ended up forming a bond with them and fostering them. No less than thirty five children found a new home and family in this process. This was true of Ningi who the Haswell’s fostered and later adopted. When Penny was first handed abandoned Ningi, she nearly dropped her in shock. The child was ice-cold, caked in dirt, and wrapped in an old rag. She was a year old and weighed just 5kg’s – the weight of a new born infant. For a week in intensive care at the hospital, baby Ningi did not move. To honour Penny Haswell, who passed away on 27 October 2014, and her legacy of “putting children first”, the Haswell family have established the Penny Haswell Education Fund to continue her passion for promoting and fostering children’s education. The fund will be administered by Thandanani Children’s Foundation and will provide funding for the education of children in need. To donate simply choose an amount from the options below and follow the prompts.